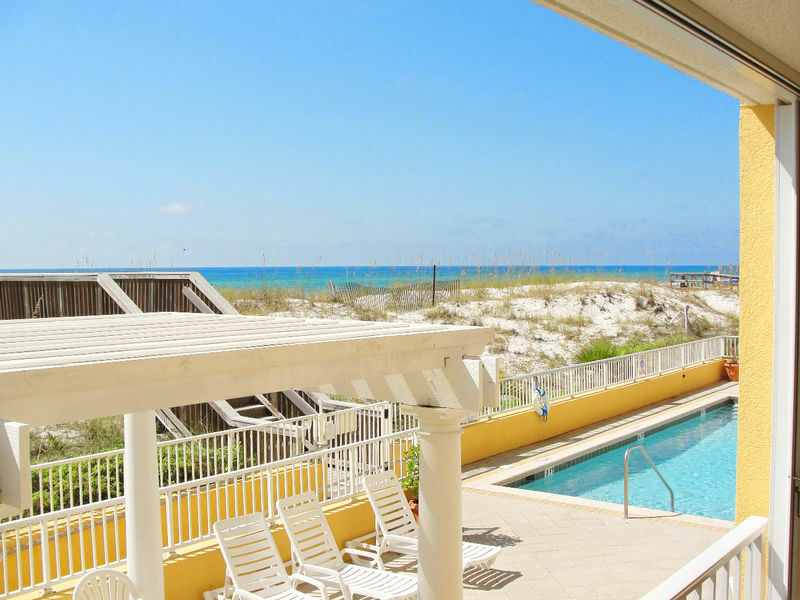 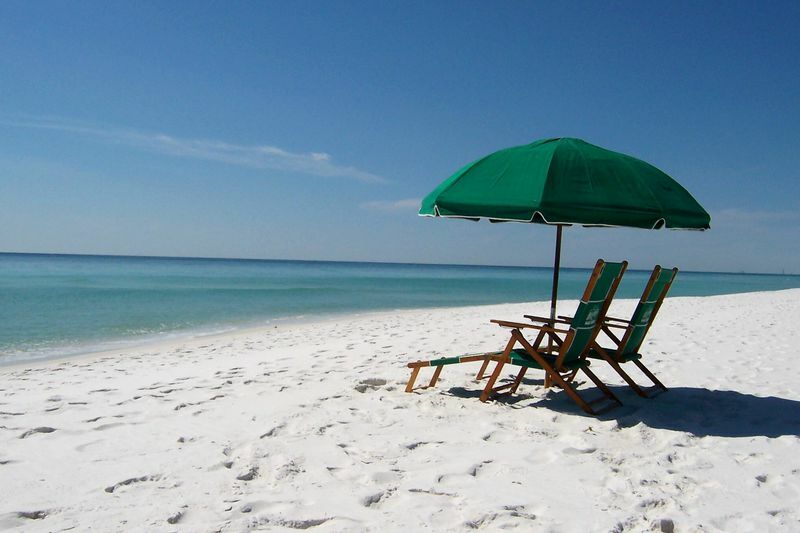 Destin beach vacationers will find everything they desire at the Gulf Dunes resort on Okaloosa Island. 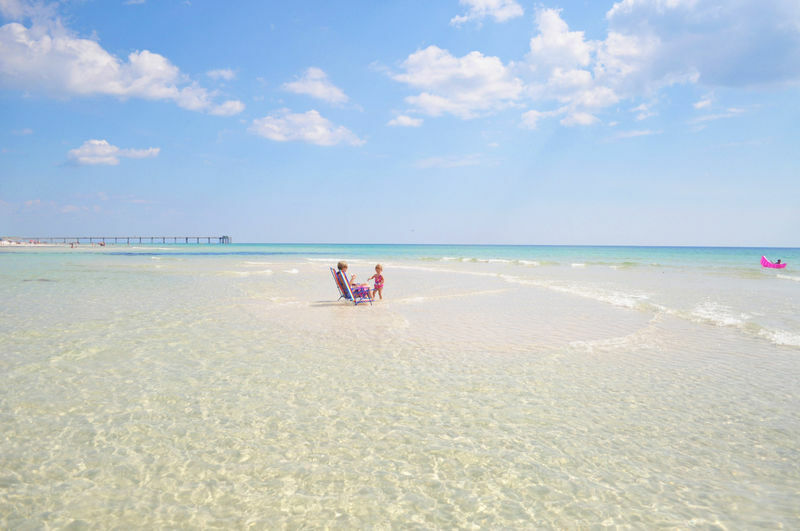 The miles of white sandy beaches and Emerald green waters of the Gulf of Mexico offer the perfect beaches for any beach lover. 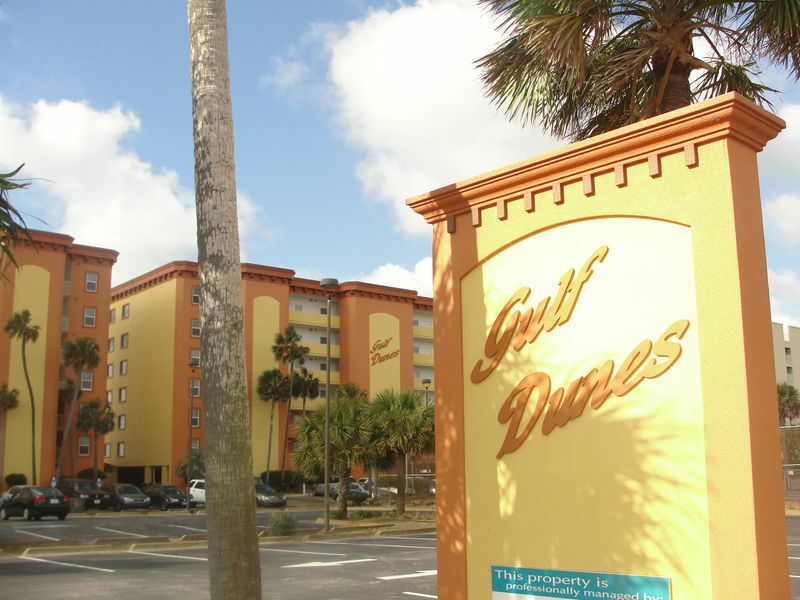 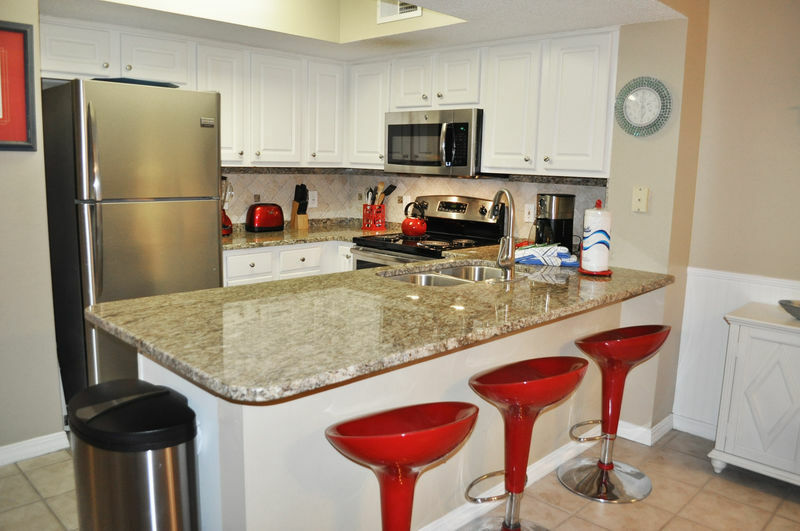 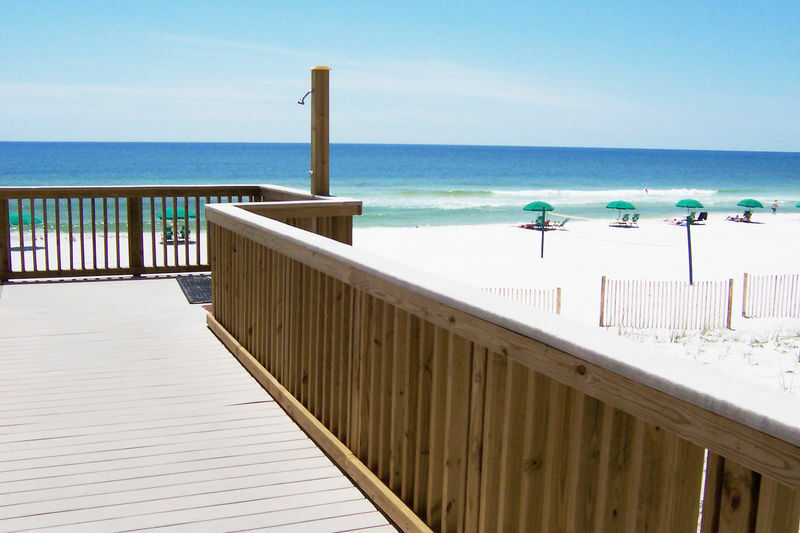 Gulf Dunes condominiums are centrally located on Okaloosa Island, just west of the Destin Pass. 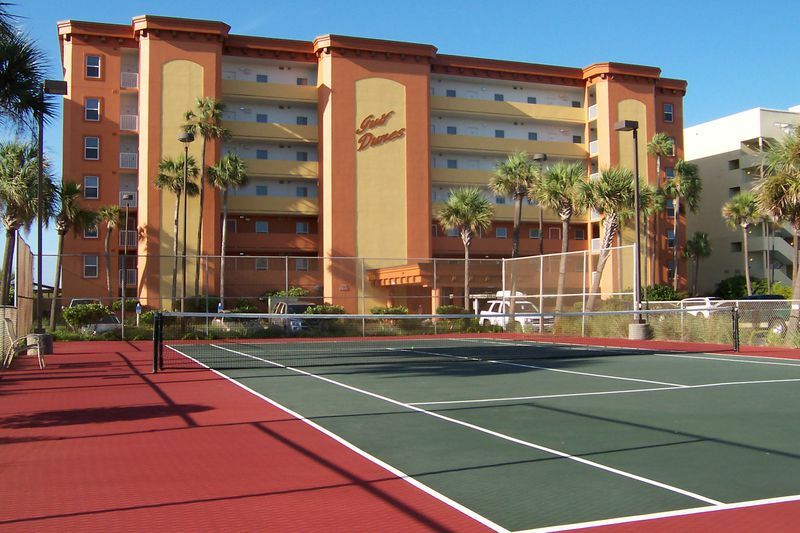 Gulf Dunes resort offers two pools, onsite tennis, and direct beach frontage with private breach front balconies in each unit. 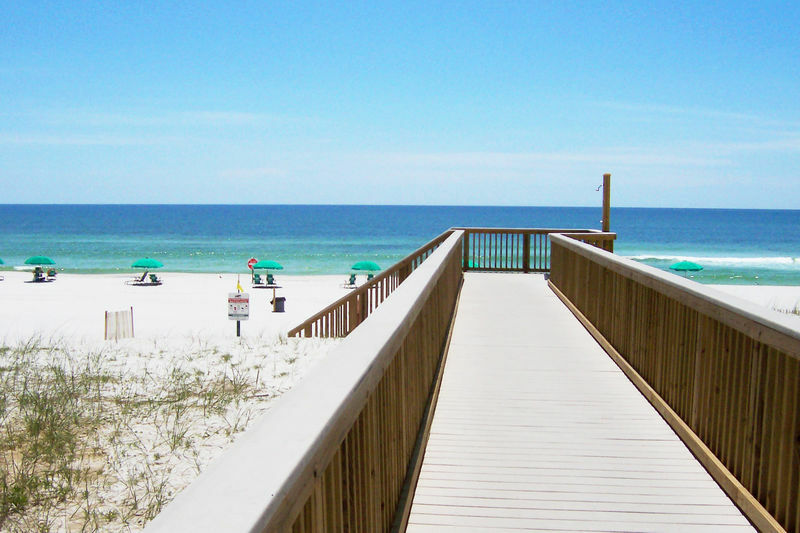 And there’s plenty of parking here, so families with multiple vehicles are welcome. 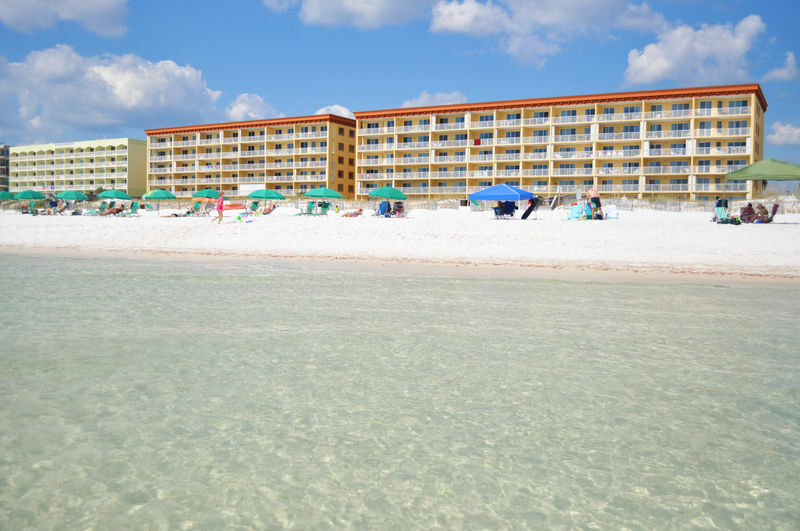 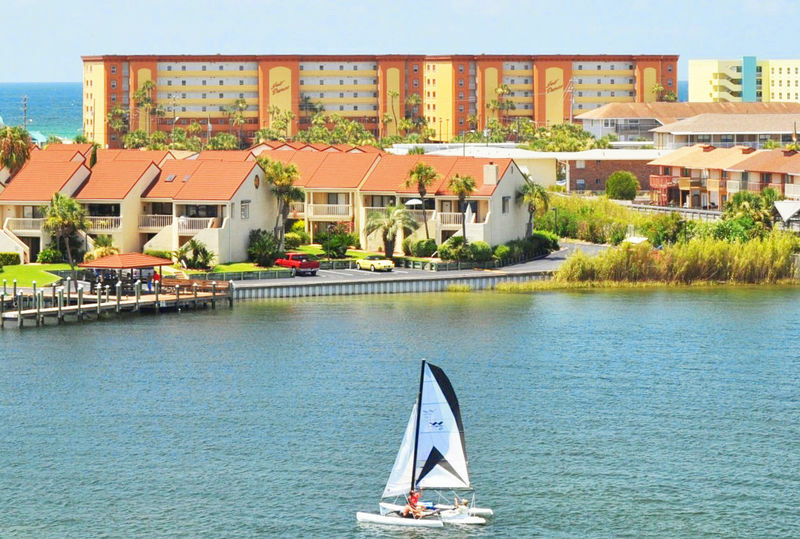 The resort is just minutes away from all of Destin’s many family attractions. 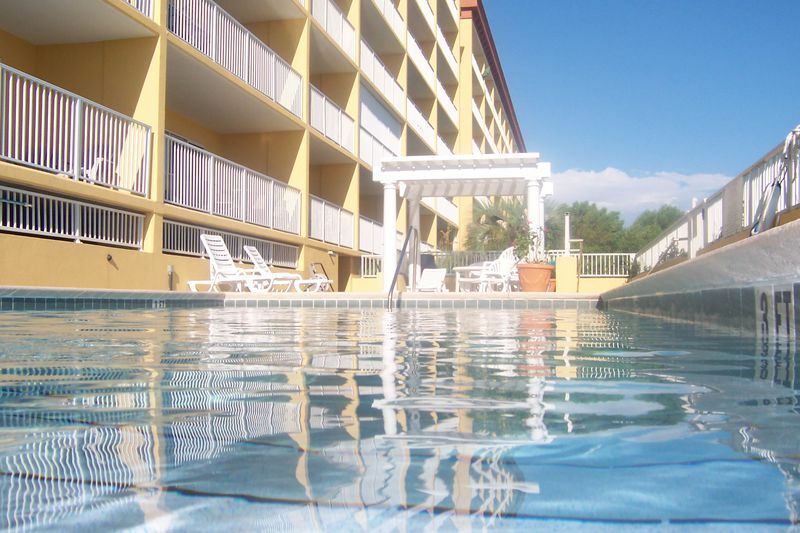 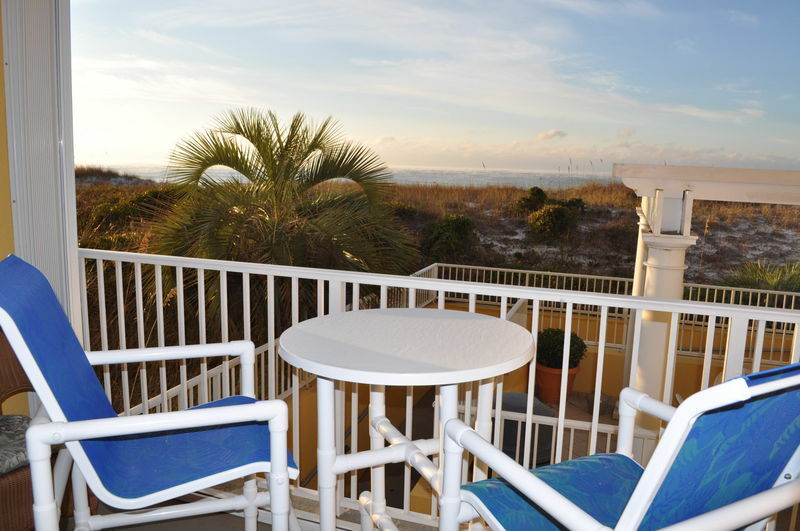 Unit 114 of the Gulf Dunes resort is conveniently located on the second floor overlooking the ocean. 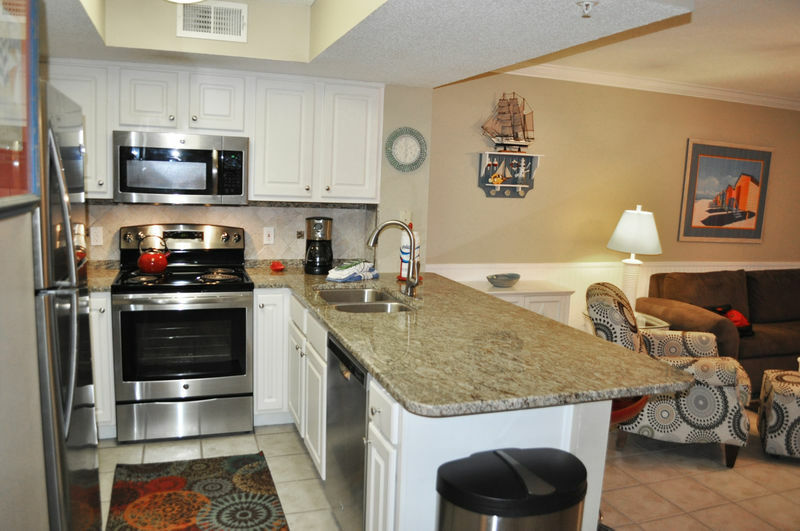 Close to the stairs and the elevator, this unit has easy access to the swimming pools and beach access. 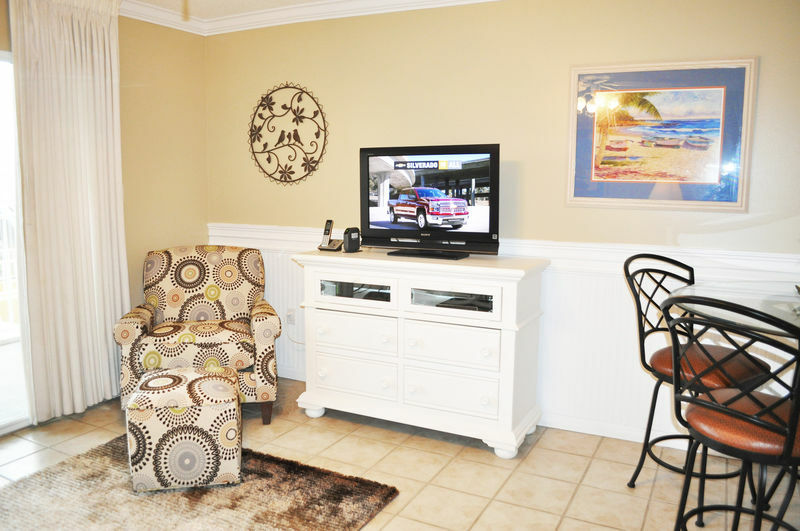 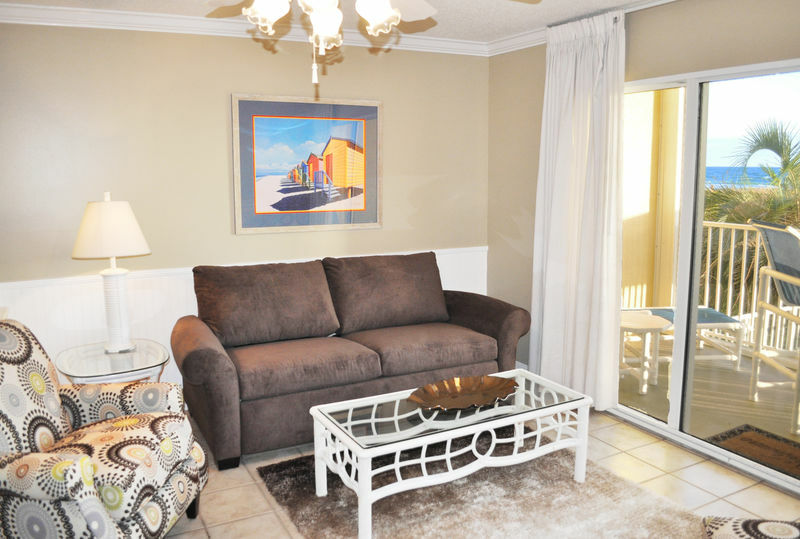 Tastefully decorated, this beach rental offers comfort and style and is sure to please. 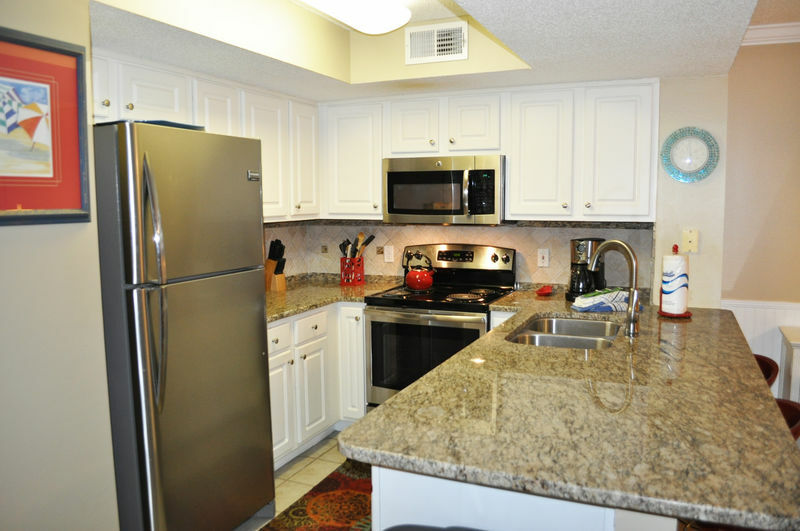 Granite countertops, stainless Steel Appliances, and tile floors are just some of the upgrades that makes this unit special. 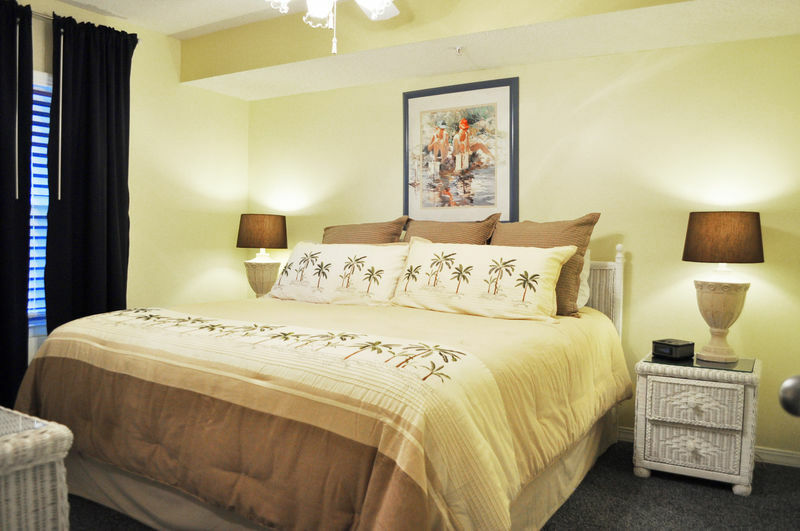 The king size master bedroom offers a pillow top Serta mattress for the most comfortable sleeping. 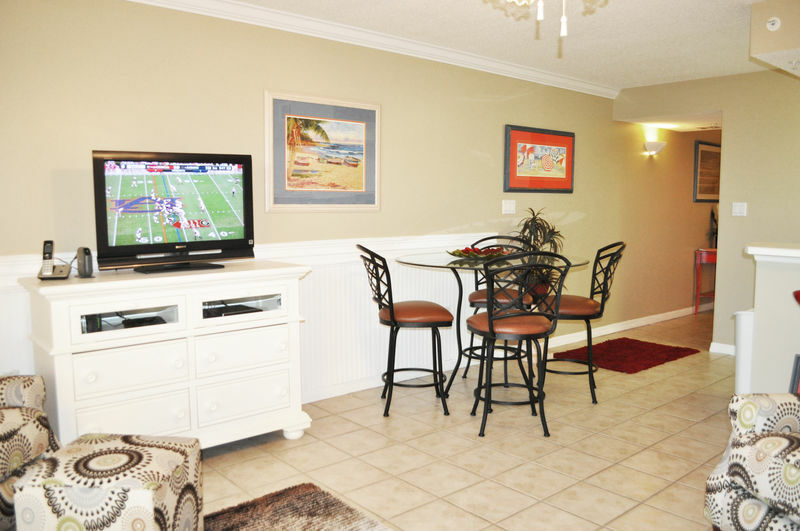 Flat screen TVs are standard in all rooms. 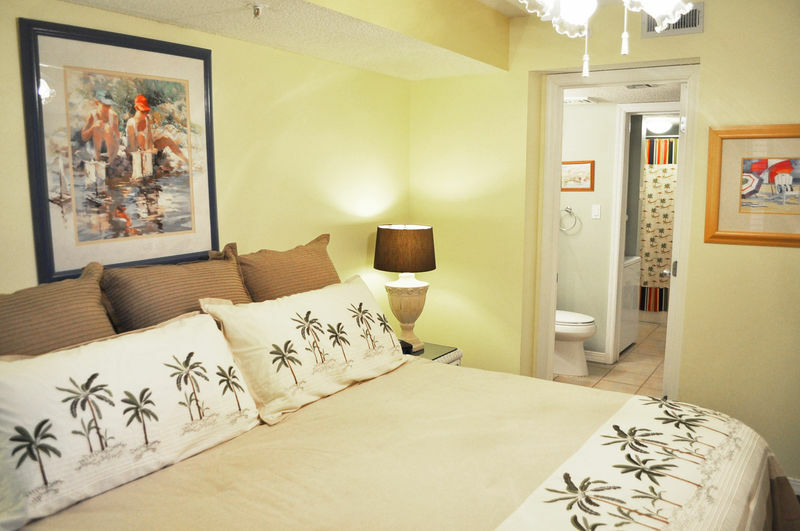 The master bed bedroom has private access to the adjoining bathroom area. 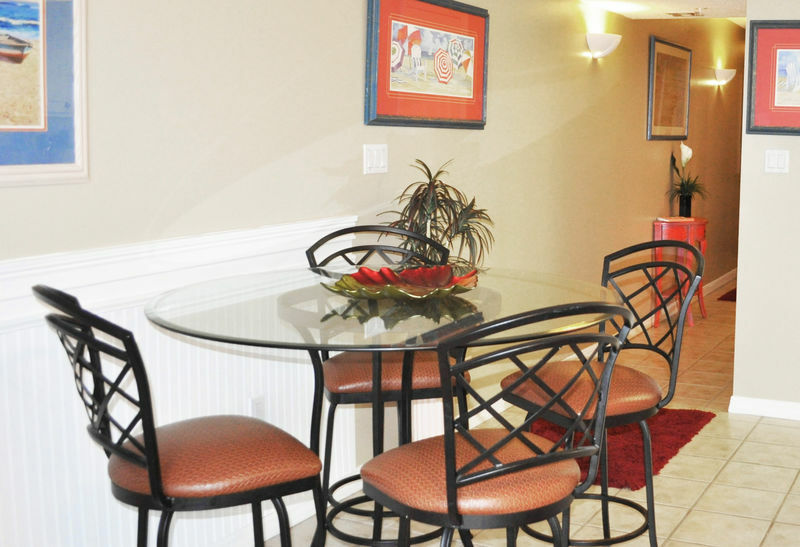 The private washer and dryer is also located in the bathroom area for your convenience. 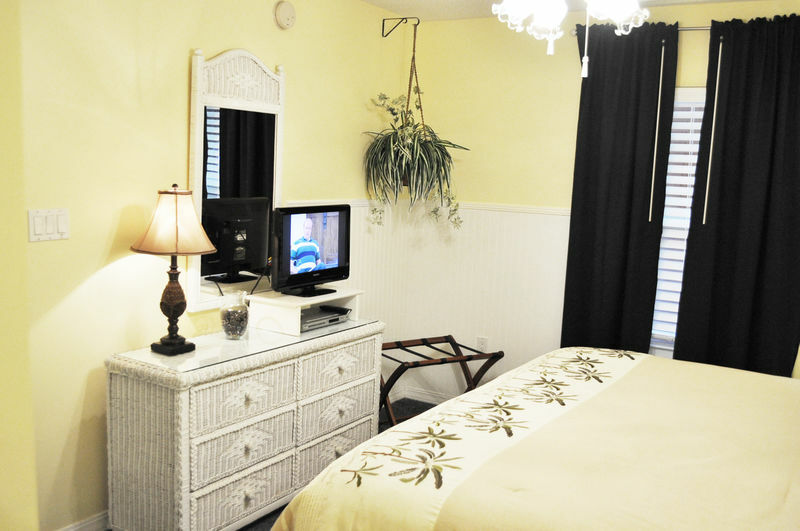 Just outside the master bedroom, are twin bunk beds with extra storage underneath for your luggage. 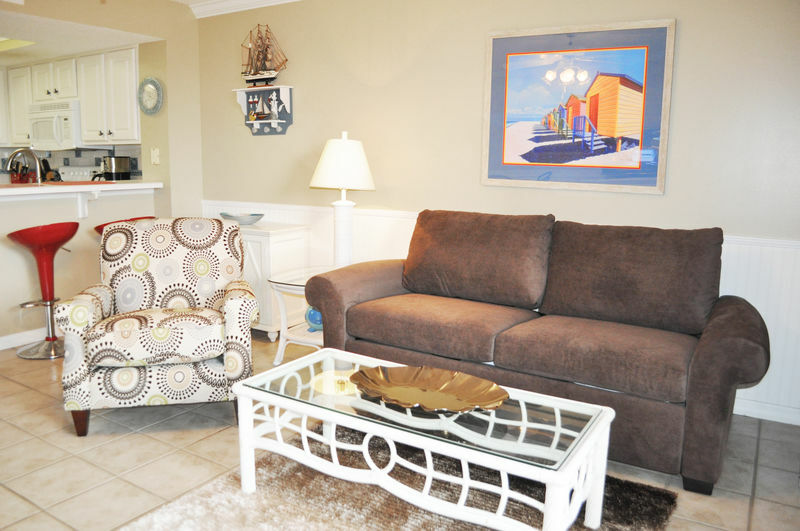 The living room which connects to the beachfront balcony, is equipped with an upscale pullout sofa bed which has a firm, memory foam mattress and solid support. 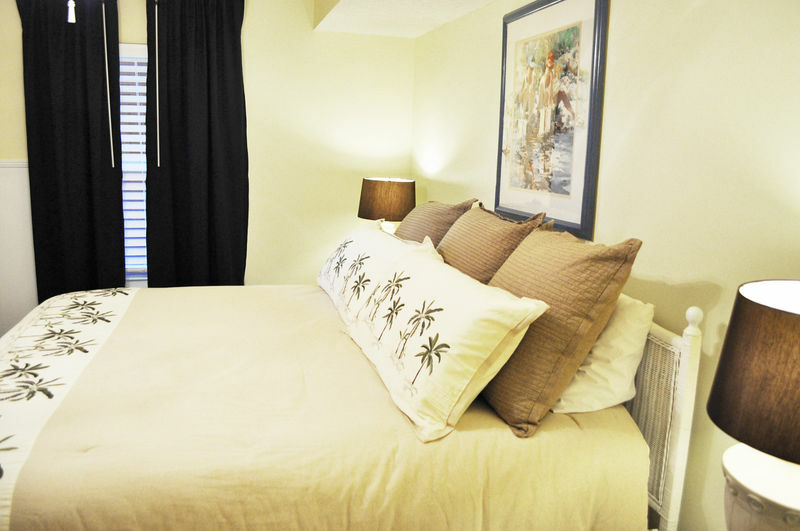 The sofa bed sleeps as comfortable as most regular beds by design, a unique feature of this particular condominium. 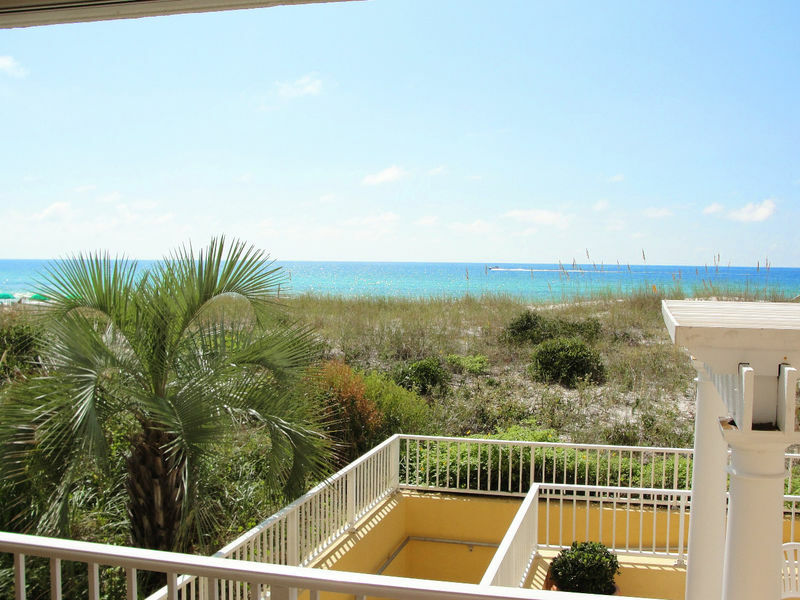 A family of 4 to 6 will surely be comfortable for a week or longer in this beautiful, upscale beachfront vacation rental.